Qik Teks strives to offer the cheapest on site service available in Townsville. With fixed rate repairs there is never a nasty surprise at the time it comes to pay the bill. viruses are terrible and i always wonder why people write them, especially the ones that that offer the virus writers no financial gain. viruses on computers are much like they are in human beings, you can stop the symptoms of the virus but you cannot get rid of it. But unlike in humans computers can be wiped clean and put back to there factory state which is the only sure way to get rid of a virus. this service can also be offered onsite at a cost of $80 call out which includes the first hour then $40 an hour part thereof. *requires all recoverymedia included with your computer driver cds, recovery partition, additional fees apply if these are not available. I also offer onsite repairs, I can diagnose the problem hardware and offer a solution. I can source parts for every brand of computer and install it whether it be a laptop or pc or server. This service is $80 call out which includes the first hour and $40 an hour part thereof. I can come out to your home or business and install ram memory, a new hard drive, graphics card, even software like antivirus. For this serivce you will require a working broadband internet connection and administrative privelidges on your computer. 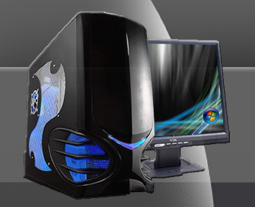 I will get you to install an installation on your pc which will temporarily let me log on to your pc and fix any niggiling software issues you have,or even install software you are not too sure how to configure, or show you how to use particular software, even help configure a wireless router. And you can watch it all on your computers screen live. This service is worth an initial fee of $20 which includes the first 15 minutes then $20 for every half hour part thereof. you will be sent out a bill to your home address or email. #sbs 2003 server only, allows 4 active directory and 4 exchange accounts to be added or removed a month. I can come to your home or work place and configure a "Local Area Network" or "Wide Area Network". Each networking environment is different so prices for this service will depend on the nature of the network needed. For home and small office fit outs refer to my onsite repair charges. For larger offices or home networks I can quote for this service, which may require specialist parts and wiring (Qikteks cannot install cabling in your home or office, you will need a liscensed cabling technician to fit out your office space, which I can reccommend) . see my laptop repairs page for more details and costs.